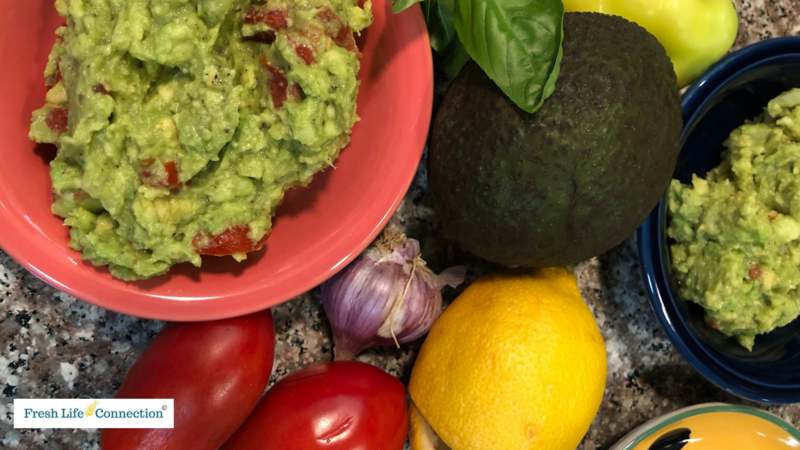 There are so many things you can do with freshly made guac but the best part is how good it is for you! Avocados have fiber, protein and healthy fats which are good for your heart and your brain. Then when you add garden fresh tomatoes, onions, garlic, lemon juice, and cilantro you have a complete meal! If you add a hot pepper you've just upped the game to help with inflammation. I could go on but I'm sure your mouth is watering and you want my recipe. Remember to be creative, use the ingredients you like. Add pineapple or leave out the cilantro. It's your dinner make it your own! mix everything together except the lemon juice. Once blended to your liking add the juice and give it a couple more stirs. Serve as a dip, condiment, or just eat it on toast! I am sure you will enjoy it any way you have it!